Retirement Residence & Long-Term Care Visiting Tips – Are you in the process of touring retirement homes or long-term care homes for yourself or a loved one? Do you know the correct KEY questions to ask that will ensure guide you are in making the right choice? How do you know if the homes you are looking at will meet your needs or that of a loved one now or in the future? Knowing that how we assess a retirement and long-term care setting is based on both what we ask and what we see/smell/taste, the author has created this eBook as a tool to assist readers in their decision- making through an extensive list of things to observe observations and questions to ask when you go on tours or request a personal visit. Written by an experienced social worker who has focused on senior relocation for over 25 years, it delves into all aspects of care and accommodations any informed consumer should consider. Created in a chart format, readers can either use the actual document when touring homes or select questions important to them, to create their own questionnaire. The questions for retirement homes are divided into those you would ask on a first visit, and additional questions you would ask when returning for a second visit before making a final decision. This allows the user to easily eliminate homes that don’t meet their preliminary needs, while highlighting ‘next level’ questions in booking a return visit. This publication is a MUST HAVE for caregivers and seniors looking at relocation options. For professional users, contact us at connect@seniorcareaccess.com to discuss branding options and re-distribution. 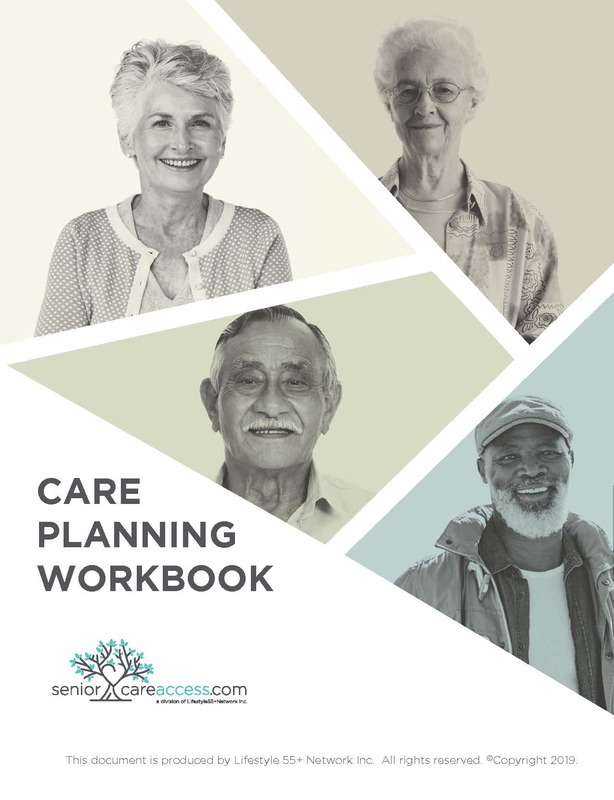 Care Planning Workbook – Are you a caregiver for someone? In an emergency would you be able to access important health and financial information about them? Do you know the kind of information you might be required to have? If you share caregiving, do you have an efficient way of sharing and communicating vital information with each other? If you are a senior, do your loved ones know where your important documents are in the event of an emergency? This 40-page eBook was created through the combined knowledge and experience of several professionals working in the senior sector and is based on years of experience in hospital social work, long-term care administration and family caregiving to assist users in documenting important health and financial information for yourself or a loved one. It organizes information into sections – Personal Information, Medical Information, Medications, Insurance, Family Health, Financial, Legal, Contacts, Care Wishes and others - and allows users to complete the data on their computer or by hand, providing enough space to ensure all of your information is in one easy to locate place. As well, throughout the document there are helpful tips on organizing additional documents, care planning and budgeting. It is concise, organized and easy to use. It will assist any caregiver in accessing important information quickly and efficiently when time is of the essence. 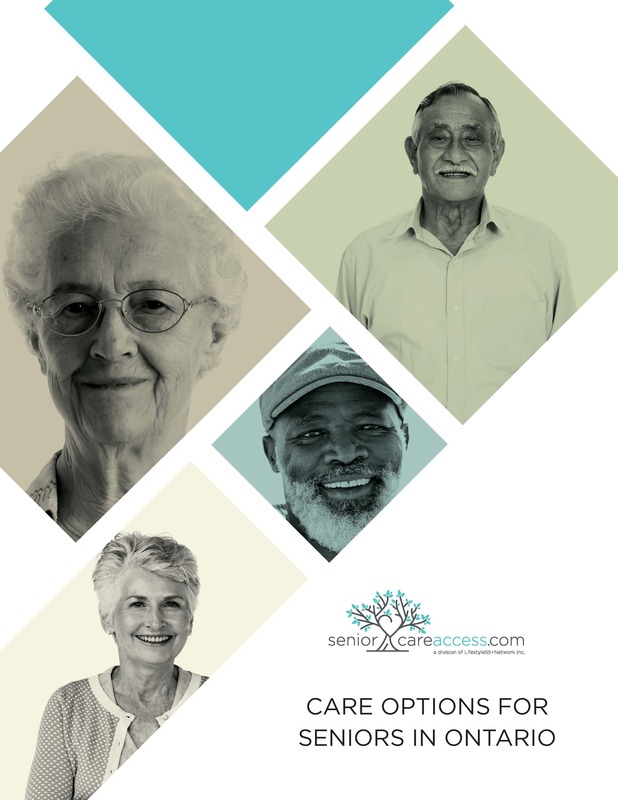 Care Options for Seniors in Ontario – Do you need information on different care options available to seniors in Ontario? Are you unsure of the different levels of care and resource options available to you or a senior loved one? 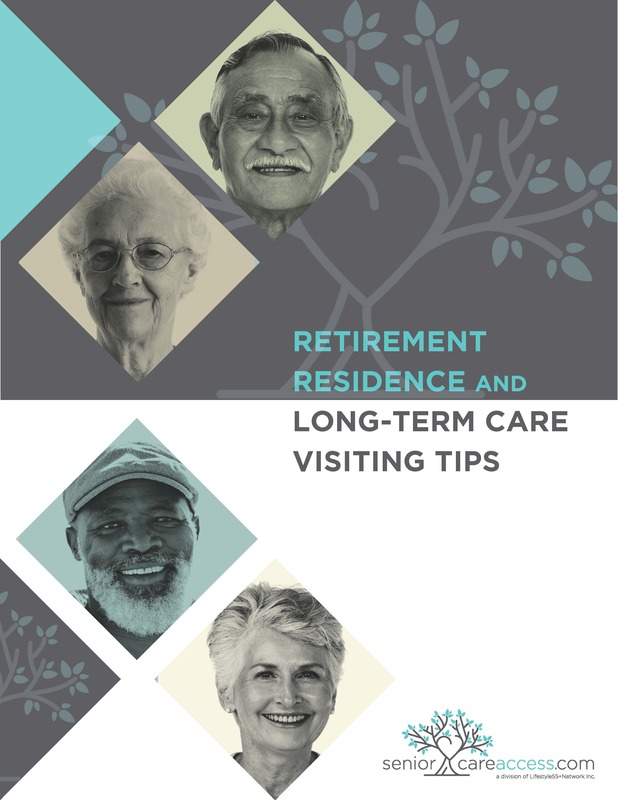 A companion document to our well-known and well-used Retirement Residence & Long-Term Care Visiting Tips, this eBook details information on the many different housing and care options for seniors in Ontario. Updated annually, it has valuable weblinks and contact information for a multitude of seniors’ resources. For caregivers, it includes information on ‘Caring for the Caregiver’, Living with Family, how to discuss and raise the difficult topic of care and relocation with a senior loved one, Downsizing Tips, Emergency File creation and more.